So, where do we start? Well, I guess with the layout of the restaurant. We were greeted at the door and seated, so that was all good. No confusion there. However, the restaurant was setup with a bunch of one-seat kind of u-shaped booths. And they face away from the door. For some reason this felt very awkward to me. I’m not sure if it was setup that way to give people a view of the parking lot? Or because the booths wouldn’t fit another way? But it was all very strange. There were also some regular tables, but we got seated at that booth. And I didn’t love it. I also didn’t hate it, but felt like I couldn’t relax. Hey, I’m not all feng shui or anything, but I do like to not have my back to the potential action. Not a deal breaker. The menu was simple. 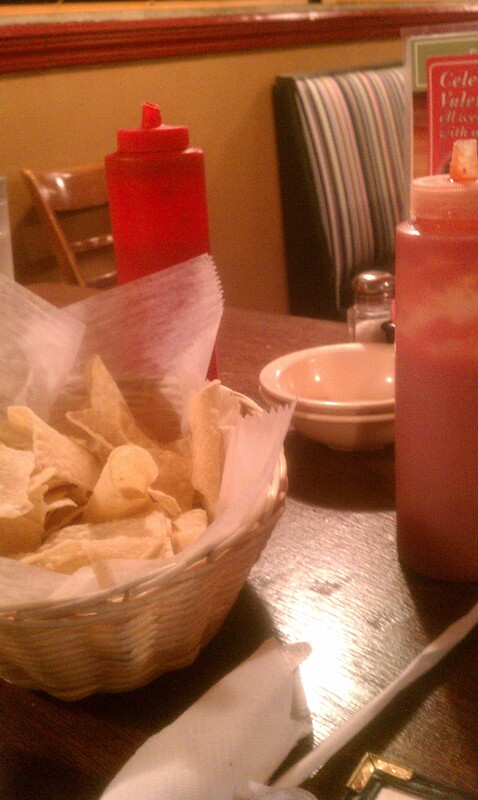 And I liked the salsa and the chips. And we ordered cheese dip (of course), which was also good. 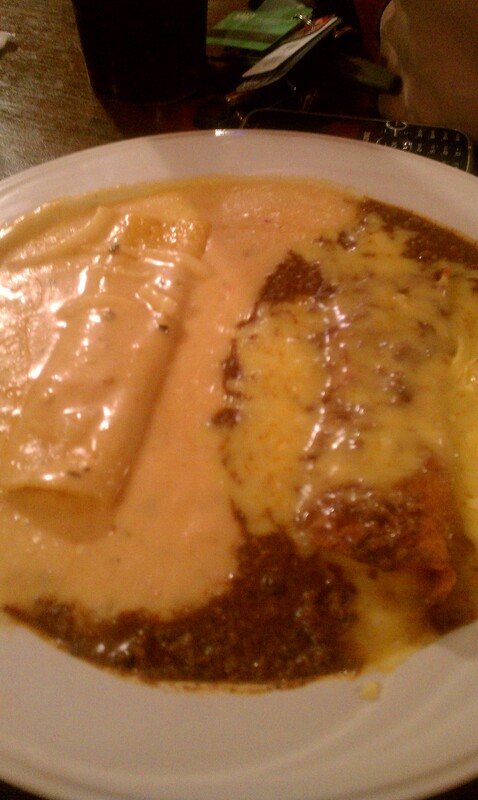 I ordered a meal with a cheese enchilada and fried flour beef taco. The taco was ah-mazing. 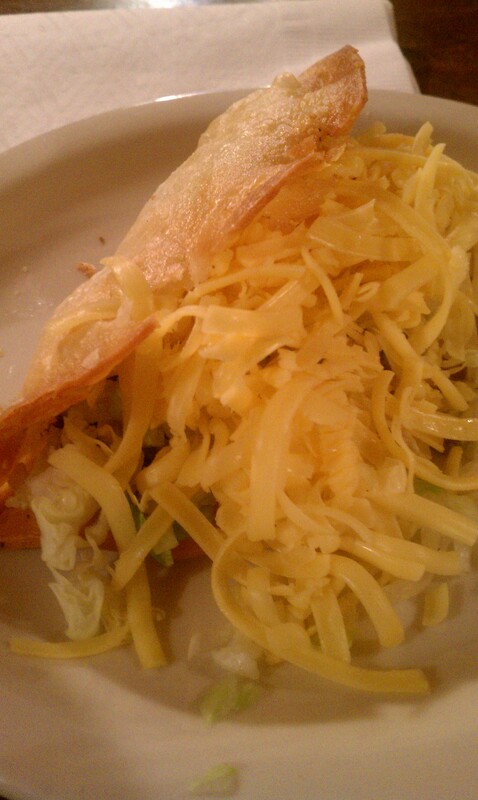 The cheese enchilada was good as well, but not as good as the taco! I can’t remember what Lyndsey ordered. Overall the food was really good and worth going back for. HOWEVER, the restaurant kept having waves of either a sulfur change (so eloquently stated by Lyndsey, who’s in chemistry and knows all that science-y stuff) or it reminded me of either sewer or a dry drain. It definitely didn’t add to the appeal of the restaurant. I’m not sure if this was a one-time glitch they’ve worked out. Or if it’s a constant thing. It would definitely turn me away from going back. In fact, the weekend before last, I hit up Felipe’s instead of this place because I couldn’t bring myself to have my meal ruined by the smell. Hey, smelling is half the eating. So, if anyone out there knows if this issue has been resolved, speak up! And if is hasn’t and you’ve noticed it, too, speak up as well, I guess. Maybe that’ll be enough to investigate the issue? I can see how being around it all day might make you less sensitive to the smell. But for diners, it’s not appealing. However, minus the smell, I had a great experience. The service was great. Food was good. Prices were reasonable. And since the closing on my house sale keeps getting pushed back, I might be persuaded to go again and revise this review (passive aggressive nudge to management at Ben Villar’s – or, you know, if you like the smell, all the power to ya!). 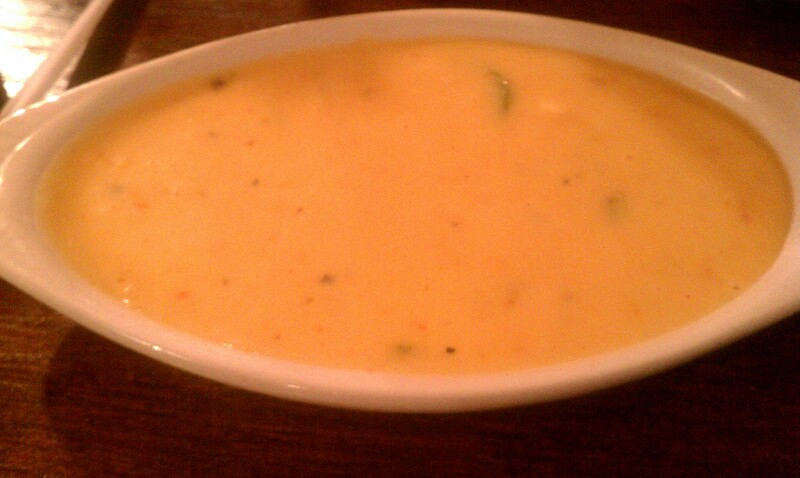 Who else needs cheese dip in there life this very second? 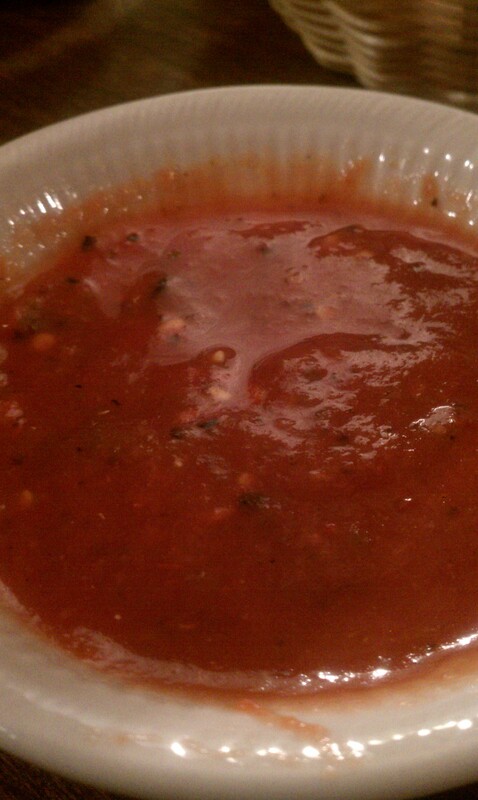 A mix of the mild and hot salsa. Er, sauce? This looks like a cheesy mess. But it was actually quite good. A little overboard on the cheese enchilada and cheese sauce. But the cheese sauce was good. So I’m not sure what I’d change, if anything? I always get the cheese enchiladas with no sauce at Felipe’s so maybe that’s the answer? Or do a beef or chicken enchilada with cheese sauce. It’s a lot of thinking when I probably won’t go back, huh? Oh, wait. 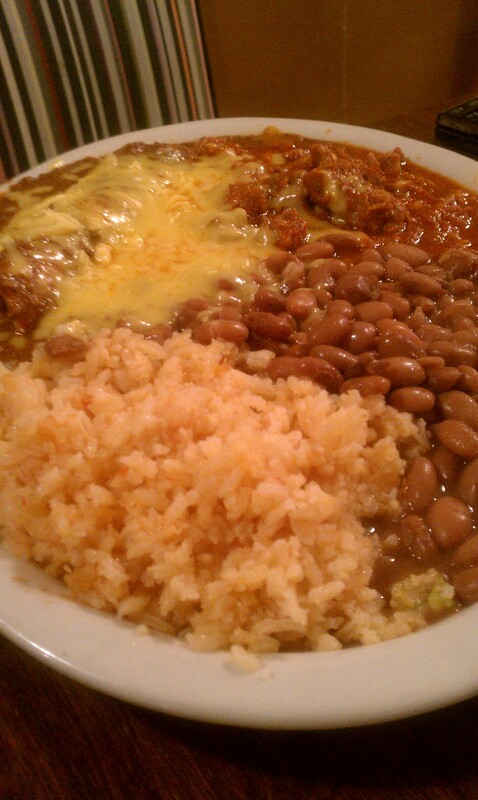 Is there a SECOND enchilada in there? I’m so confused. Either way, if I went back, I’d probably explore other menu options. Lyndsey’s meal. I think this is some kind of enchilada and I can’t remember what. Lynds, speak up! I went and saved the best for last. Add a little salsa to this bad boy and PERFECTION. The star of the show. A must-have. Oh, and in other southeast Wichita Mexican restaurant news, I’ve also visited the new Sombreros in the old Upper Crust building on Lincoln. That review is coming! OH my! I love fried beef tacos.. and I double love when they do freshly shredded cheese on them… it’s like the difference between bottled pepper and freshly ground black pepper. Yum! I agree on the cheese! That’s why I love Felipe’s tacos! Fresh ground pepper, though, not sure I can tell the difference. I can tell on freshly baked baked goods, breads, etc. And freshly cut deli meat. Mmmm. This places was total S%&T. There were bugs on and around the tables, the wait staff was rude, the food was overpriced and trash, the entire building smelled like they were smoking weed in the kitchen. NEVER AGAIN! i am an employee of ben villars and i think u guys are total trash to sit here and talk smack on a resterautn who is trying to do the best they know. pretty sure if u opened ur own for the first time you wouldnt be perfect right away. they treat their customers and employees with dignity and respect. for all who has negative opinions try working there and opperating it!